When I was young my Dad always won chess with me. Why? Well, my neophyte experience limited my imagination about what could happen on the board. I knew how to make a move, one at time, but that was it. I moved and reacted to my Dad’s moves with no strategy in mind. It was not until my Dad began to be open with me about how strategy worked that I started to progress in my game. I still didn’t win, but I was beginning to understand how the game worked and how my Dad thought. In leadership sometimes people do not succeed because the leaders do not let people in on the process of what is happening. A “need to know” atmosphere can limit both the sense of ownership of employees and how successful they can be, not just in their job, but also in moving the company forward. 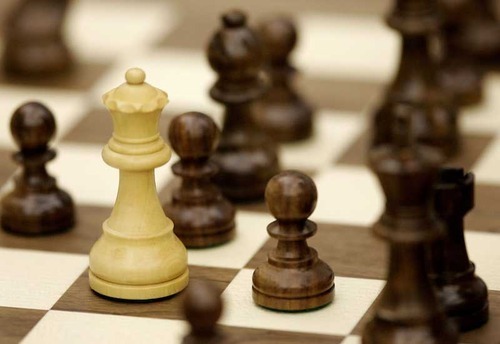 For churches, I wonder if our closed system has even put us in a checkmate posture with those outside of our faith. Charlene Li calls for a new thinking of leadership that opens up leaders to share more information. Her book Open Leadership: How Social Technology Can Transform How You Lead gives great insight to new leadership paradigms using social media. Open leadership is about exposing who you are, how you function and what you offer in ways that allow input from people within and without an organization. To begin one has to rethink how leadership works. The openness starts within the organization. The first step to open information sharing is explaining to people what is happening so that buy-in is created before ideas or projects are launched. What Li challenged firstly, is how limited we have been with information sharing. We have been great on the “whats” we want people to do, but not so much on the “whats” that explain the whole process from beginning to end. When I wanted to instill in our congregation a value of mentoring to young people. I first shared that concept with the leaders that I trusted. Then I spoke on it many times in my sermons. I had informal dialogue with those I thought would be good potential leaders. I basically shared my heart on this before I ever knew how this was going to work out. But then I began modeling this by causally mentoring our young adults. When a change was happening in our youth, I announced we were going to have Sunday morning Youth Connect mentoring experience. In our small church, we had about 8 youth coming on Sunday morning at most. Our first Sunday that we began our Youth Connect we had 18 kids show up and some very motivated mentors. What this showed me was that launching a new value and project in the church was a process. Being open had a greater long trem effect than merely launching a new program by just telling people that we were going to do it. Li states that the objectives for accomplishing things within an organization are first learning from staff and congregation. Then have dialog both internally and externally what message you want people to be engaged with, gather support and lastly innovate. This proved true in this situation. I lost chess to my Dad because I had a limited view of the playing board. My strategies we only ones I came up with within my own childhood brain. Perhaps its time for churches to think like a mature chess players. The perceived stalemate may be one of our own creation. The next moves are ones we could learn from those outside of our churched friends. Then we could dominate the chess board! Well, the metaphor just broke down. We are called to serve, not dominate. Perhaps, preChristians can inform us how our mission can extend in new ways. We can open up by using media that takes our message outside and allow others to weigh in on what we are doing. Open leadership is one way we can serve our world better and extend our influence in greater ways.